Department of Pharmacology, NSHM College of Pharmaceutical Technology, 124 BL Saha Road, Kolkata - 700053, West Bengal, India. ABSTRACT: An essential pathological phenotype of chronic obstructive pulmonary disease is emphysema or lung tissue destruction. The study aims to assess docosahexaenoic acid (DHA), a precursor for specialized pro-resolving mediators, as a treatment of emphysema. Albino mice were challenged with porcine pancreatic elastase on day 1 and bacterial lipopolysaccharide on day 21 to induce emphysema. The pathological condition was then treated with docosahexaenoic acid for 7 consecutive days. The animals were treated with three experimental doses of docosahexaenoic acid (3, 10 and 30 mg/kg b.w.) and results were compared with another 2 groups receiving standard drugs, i.e., corticosteroid and bronchodilators. Histopathology, automated morphometry, bronchoalveolar lavage (BAL) and lung volume measurements were performed. The experiments showed that the 30 mg/kg dose of DHA has treatment effects similar to the standard drugs. The neutrophil is an inflammatory mediator, and the new treatment was able to reduce the neutrophil count in the bronchoalveolar lavage fluid. Lung volumes were reduced suggesting lesser hyperinflation. Histopathology confirms more inferior airway obstruction in the treatment groups. 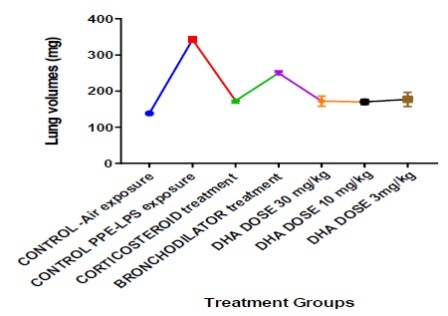 Even though the experimental doses of docosahexaenoic acid were not superior to the effects of corticosteroids but has shown some signs of improvement in exacerbation model of emphysema in mice and has promised to become a therapy for management of COPD in future. INTRODUCTION: Chronic Obstructive Pulmonary Disease (COPD) is a complex, debilitating lung disease where the patients have difficulty in exhaling. It comprises of a variety of clinical and pathological phenotypes which range from airway inflammation (chronic bronchitis) to lung tissue destruction (emphysema) and airway remodeling. The pathogenesis of COPD involves abnormal, deregulated and aggressive cellular inflammatory responses of the lung to mainly cigarette smoke exposure 1. Emphysema is a significant component of COPD which is characterized by alveolar extracellular matrix destruction resulting in airspace enlargement 2, and the pathogenesis proposes involvement of elastase, matrix metalloprotease imbalance, apoptosis and oxidative stress 3. It is seen that pulmonary exposure to porcine pancreatic elastase (PPE), which primarily acts on elastin, can predispose acute lung inflammatory responses through neutrophil and macrophage in animals 4. These inflammatory cells destroy the lung connective tissues by the production of inflammatory cytokines followed by emphysematous changes and poor lung function 5. Bacterial lipopolysaccharides or cigarette smoke 6 have been used to reproduce symptoms of exacerbations 7 as seen in computed tomography 8. The underlying molecular mechanisms of emphysema have been unveiled, but the knowledge has not been executed to develop effective targeted therapies. Specialized pro-resolving mediators (SPMs) are a new array of molecules that have potent anti-inflammatory, resolution-stimulating and tissue- protective actions 9. These are structurally distinct signaling molecules namely, resolvins, protectins, and maresins, which constitute novel families of autacoids and have shown potential to stimulate cellular events of resolution in pre-clinical models 10. The SPMs are derived enzymatically from docosahexaenoic acid and other omega-3 fatty acids in a lipoxygenase – dependent manner as well as utilizing the Aspirin- triggered cyclooxygenase-2 pathway. This conversion happens naturally in the body as the SPMs are found in inflammatory tissue exudates 11. Neutrophils are one of the key players in precipitating emphysema in humans and rodents. The SPMs can limit the neutrophil migration in-vitro 12, reduces tissue inflammation and damage 10, 13. Therefore, the objective of this research was to test the hypothesis that docosahexaenoic acid, as a precursor of the SPMs, might be able to limit or reverse the inflammatory changes in the progression of pulmonary emphysema when given as a treatment in an elastase-LPS induced mice model. The morphological changes in the mice lungs are observed and evaluated. The study quantified inflammatory cells in bronchoalveolar lavage fluid, lung volume measurement by water displacement, histopathology and automated morphometry. The outcomes of DHA treatment were compared to that of established treatments with bronchodilators and corticosteroids for the same emphysema model. Chemicals and Reagents: Porcine pancreatic elastase (PPE) E1250, Type I and lipopolysaccharide (LPS) from Escherichia coli 0111: B4 were purchased from Sigma-Aldrich, India. Ketamine Hydrochloride injection I.P. (Aneket® 250 mg / 5 ml) was also purchased for anesthetizing/immobilizing the animals. Phosphate Buffered Saline (PBS) had been freshly prepared every time needed in the laboratory with analytical grade reagents. The standard (Prednisone 5 mg tablets & Duova rotacaps®), as well as test drugs (OVEGHA® 400mg DHA), were all marketed products. Porcine pancreatic elastase, followed by Lipopolysaccharide exposure- no treatment (Control). PPE and LPS exposure followed by short-term treatment with a corticosteroid (Standard drug). PPE and LPS exposure followed by short-term treatment with LABA/LAMA bronchodilators (Standard drug). PPE and LPS exposure followed by treatment with DHA Dose I (Test drug). PPE and LPS exposure followed by treatment with DHA Dose II (Test drug). 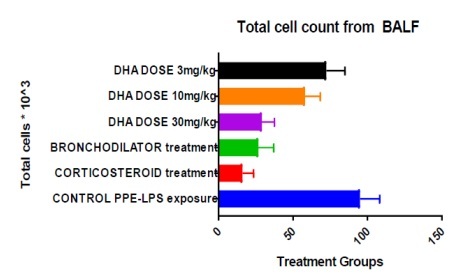 PPE and LPS exposure followed by treatment with DHA Dose III (Test drug). Induction of Emphysema: Oropharyngeal aspiration 14 was the chosen route of administration for PPE and LPS as it has fewer complications and lesser mortality rate during the procedure. Mice were first administered 100mg/kg intraperitoneal dose of Ketamine for immobilization 15 and suspended vertically. Then 0.25 IU of PPE dissolved in 50μl PBS was administered oropharyngeally to each mouse. Then the mice were challenged with 1mg/kg LPS also dissolved in 50 μl of PBS on the 21st day. The animals were sacrificed on the days 22 and 28 respectively for control & treatment groups for analysis of lung morphological changes Fig. 1. Treatment Plan: Treatment starts on the day of LPS challenge and continues for seven consecutive days Table 1. Animals were sacrificed on the 28th day, and further pathological tests were carried out. Tissue culture grade water was used as a vehicle for every drug that was administered. The toxicity studies of the test drug showed that acute LD50 of rats to be higher than 5000 mg/kg of body weight 16. *Animal dose calculated from the human dose of the marketed product. Histopathology and Automated Morphometry: Formalin-fixed lung samples were cut parasagittally and embedded in paraffin. Hematoxylin and eosin staining was performed. Images were acquired in a randomized manner as colored JPG files using a microscope, a 10X objective, a camera, and software TS view that can capture high-quality digital images of the slides. Under-inflated areas were avoided. 25-30 images were captured per lung tissue sample. By using Image J NIH software, these randomized images were converted to binary (black and white) images and saved as TIFF files for further analysis 20. The white color represented the tissue and black represented airspaces. This portion of tissue recorded by the software corresponds to any respiratory bronchioles, blood vessels, alveolar ducts and pulmonary saccules/alveoli 21. The following parameters were calculated by the software. Destructive index (DI): Destructive index was calculated when the slides were observed under a 10X objective. This time a point grid was superimposed on the images and the structures falling under these points were either denoted as normal (N) or destroyed (D). Cell Counts from Bronchoalveolar Lavage Fluid (BALF): Bronchoalveolar lavage was performed on days 21 (for control) and 28 (for treatment groups) by using a 20 G catheter (intravenous) inserted into the trachea. The cannulated tracheas were lavaged with 0.5 ml increments of ice-cold PBS four times (2 ml total). Red blood cells were made to lysis by erythrocyte lysis buffer. The total cells, lymphocytes, and neutrophils were counted on hemocytometer 8, 20. Lung Volume Measurement by Water Displacement: Lungs were separated after sacrifice, and the lung volume was measured by water displacement 25. This parameter is considered as a measure for total lung capacity and hyperinflation caused by emphysema. Statistical Analysis: GraphPad Prism software version 7.03 for Windows had been used for statistical analysis. Data are furnished as mean + s.e.m. Statistical significance was calculated by one-way ANOVA, between treatment groups versus the disease-induced control group, and the minimum statistical significance was accepted at p<0.05 in all cases. Early death after challenging the animals with the inducing agent was an exclusion criterion. In this experiment, only one mouse died out of all the PPE-LPS treated animals. Histopathology: The lung specimens were evaluated at 22nd day of the disease induced control group along with normal lung specimen, and the treated groups were evaluated after 28 days. No pathological changes were seen in the normal lung specimen which was air- exposed, but chronic airway obstruction and emphysematous changes were observed in the PPE- LPS treated group Fig. 2. Airspace enlargement and destruction of alveolar structures were evident in the PPE- LPS treated lung sample. In the treatment groups, one can observe lesser obstruction in the bronchioles. The higher dose of DHA (30 mg/kg) and the corticosteroid-treated lungs have the least inflammation Fig. 3. *p<0.05 versus PPE-LPS induced group. Automated Morphometry: The first parameter calculated was the mean linear intercept Fig. 4. After induction of the disease, the Lm values increased which is indicative of lung parenchymal destruction. The results Table 2 showed that corticosteroid treatment along with the DHA doses (30 mg/kg and 10 mg/kg) was able to decrease the MLI significantly at a 95% confidence interval. But neither the bronchodilator treatment [p=0.0791] nor the 3 mg/kg dose of DHA [p=0.2554] could show similar significant effect. The second parameter was destructive index calculation. None of the treatments were able to decrease the DI significantly after exposure to elastase and LPS. These results suggest that even though the treatments can halt the progression of the inflammation, tissue repair was not observed in this short period, and hence a long-term experiment is needed. Inflammatory Cell Counts from Broncho-alveolar Lavage Fluid (BALF): The cellular profile of the bronchoalveolar lavage fluid was evaluated after the 7-day treatments and on the 22nd day of the disease- induced control Table 3. For the normal lung specimen the total cell count was negligible and differential cell count not performed. The total cell count for the PPE-LPS treated animals was very high. Three treatment groups of corticosteroid, bronchodilator and DHA 30 mg/kg showed a similar and significant reduction in the cell count when compared to the positive control group. But groups of the two lower doses of DHA (10 mg/kg and 3 mg/kg) were unable to produce significant effect Fig. 5. **p<0.05, versus PPE-LPS induced group. In case of differential cell counts, neutrophils rapidly increased in the BALF of the disease induced group which all the treatment group was able to reduce count significantly at 95% confidence interval and the 30 mg/kg DHA dose was near to significant. Similarly, the increased lymphocyte counts were decreased in a dose-dependent manner when treated with the three experimental doses of DHA. But only 30 mg/kg dose of DHA had been able to match the extent of effect with the standard treatments and was statistically significant Fig. 6. Lung Volume Measurement: The increase in lung volume and hyperinflation of lungs occur due to loss of the elasticity. 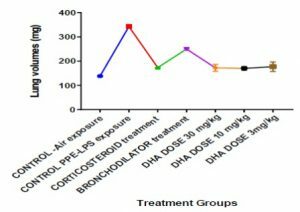 In this experiment, all the three DHA doses and corticosteroid treatments were able to reduce the increased lung volume caused by chronic inflammation Fig. 7. The bronchodilator treatment is not seen to produce any significant effect. DISCUSSION: Elastase and LPS induced emphysema is a simple exacerbation model of emphysema developed by Kobayashi et al. 8 This study was initially described in male C57BL/6J mice, unlike this present study where we have experimented on female albino mice. The disease is induced in 3 weeks, and neutrophilic inflammation may contribute to the morphometric changes. This is a novel study to show the treatment effect of docosahexaenoic acid in a mice model of emphysema. Three experimental doses of DHA had been chosen which have previously shown anti-inflammatory effects in an arthritis model with rats 18. This exacerbation model of emphysema has a very low mortality rate. No significant changes in the body weights or appetite or muscle strength (exercise capacity) of the animals were observed throughout the short span of the experiment. This is an original short-term study which has concluded by performing simple procedures. Initially, the histopathological analysis revealed the pathological changes to be standard features of emphysema, i.e. free flowing tissue, enlarged air space, thickened epithelial wall, and neutrophil accumulation. Later, we observed it marked an increase in mean linear intercept, neutrophil count, total cell count, and lymphocyte count in the bronchoalveolar lavage fluid. All the treatment doses were significantly able to reduce the airspace enlargement (MLI) up to 50%, and DHA 30 mg/kg is the best treatment. The negative index showed that the destroyed structures of the lungs were not repaired; rather airway remodeling was observed which includes thickened epithelium, sub epithelium fibrosis. The short-term treatment does not have the potential to improve and regenerate tissue but to halt the progression. But resolvin D1 26, a pro resolving factor derived from DHA has shown the possibility of tissue regeneration after 24 weeks of treatment in a smoking model of emphysema. Hence, long term treatment with DHA might also have a similar possibility. On the other hand, Resolvin D1 had shown limited effectiveness in reducing hyperinflation of the lungs, which DHA as a precursor of resolvins, protectins, and maresins, have been quite successful. The two main pathogenesis of emphysema is decreased elastic recoil and hyperinflation. The decrease in the lung volume showed that hyperinflation was restricted better when treated with the test drug doses rather than the standard treatments. This implies that a complex mechanism of action lies underneath restoring the elasticity and the size of the lungs, involving all the three classes of specialized pro-resolving factors (SPM) - protectins, resolvins, and maresins. The total cell count was reduced effectively by the 30 mg/kg dose of DHA up to the extent of both the standard treatments with corticosteroid and bronchodilators. The neutrophil count in the BALF was better reduced by the 3 mg/kg and 10 mg/kg doses of DHA and the standard treatments. Eosinophil count did not significantly change during the disease induction and treatment period. In this case, the high dose of DHA lowered the lymphocyte counts to a larger extent, almost equivalent to the corticosteroid. This may implicate an immune-suppressive activity exhibited by the omega-3 fatty acid. Another significant result of this experiment is that the corticosteroid drug has effectively treated PPE-LPS induced emphysema. But in the cases of smoking models of emphysema, corticosteroid insensitivity is observed very often 27. At last, the results show that the standard treatments still had better effects than the test drug doses. But the short-term treatment with DHA have also shown good potential in the mouse model of emphysema of becoming an emerging treatment therapy, but still, it needs to have experimented in a smoking model with modeling other co-morbidities of COPD. The doses will require further adjustments as well as the mode of drug delivery. Previously other treatments like vitamin C 28, angiotensin receptor blockade 29, stem cells 30 have attenuated cigarette smoke-induced emphysema in animals. Many other studies suggested statins 31 to be an effective treatment. But these molecules have either failed in randomized clinical trials 32 or needs reproducible results in human beings. Therefore, pro-resolving mediators must have human trials. A comparison between treatments with DHA and more refined molecules (protectins, resolvins, and maresins) is yet to be established. Lastly, the 30mg/kg oral dose of DHA has shown to improve signs of emphysema in a brief period of treatment. It reduced the inflammatory cell counts in BALF and hyperinflation was restricted. These findings may indicate that DHA can be a treatment for emphysematous lung. Further analysis of the mechanism of action must be elucidated. CONCLUSION: Docosahexaenoic acid has shown signs of improving emphysema in a rodent disease model by reducing the extent of inflammation in a short period of time. It can be called a potential candidate for further investigation as a drug for COPD management. ACKNOWLEDGEMENT: Sincere thanks to Dr. Sandipan Dasgupta, Assistant Professor and Dr. Subhasis Maity, Principal, NSHM College of Pharmaceutical Technology, Kolkata for guidance and providing animals, chemicals and laboratory equipment. Caramori G, Casolari P, Barczyk A, Durham AL, Di Stefano A and Adcock I: COPD immunopathology. Seminars in Immunopathology 2016; 38(4): 497-515. Suki B, Bartolák-Suki E and Rocco PRM: Elastase-induced lung emphysema models in mice. Methods in Molecular Biology 2017; 1639: 67-75. Ascher K, Elliot SJ, Rubio GA and Glassberg MK: Lung diseases of the elderly: cellular mechanisms. Clinics in Geriatric Medicine 2017; 33(4): 473-490. Vlahos R and Bozinovski S: Preclinical murine models of chronic obstructive pulmonary disease. 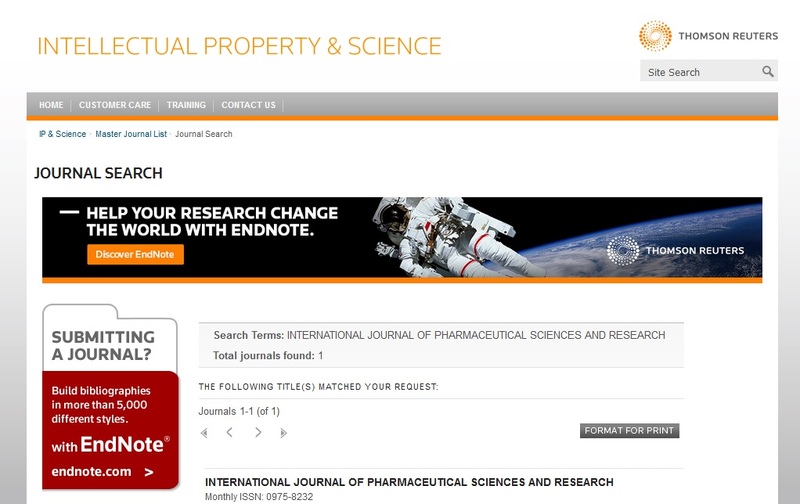 European Journal of Pharmacology 2015; 759: 265-71. Papakonstantinou E, Karakiulakis G, Batzios S, Savic S, Roth M, Tamm M and Stolz D: Acute exacerbations of COPD are associated with significant activation of matrix metalloproteinase 9 irrespectively of airway obstruction, emphysema and Respiratory Research 2015; 16: 78. Nie YC, Wu H, Li PB, Luo YL, Zhang CC, Shen JG and Su WW: Characteristic comparison of three rat models induced by cigarette smoke or combined with LPS: to establish a suitable model for study of airway mucus hypersecretion in chronic obstructive pulmonary disease. Pulmonary Pharmacology and Therapeutics 2012; 25(5): 349-356. Oliveira MV, Silva PL and Rocco PRM: Animal models of chronic obstructive pulmonary disease exacerbations: a review of the current status. Journal of Biomedical Sciences 2016; 5(1): 8. Kobayashi S, Fujinawa R, Ota F, Angata T, Uneo M, Maeno T, Kitazume S, Yoshida K, Ishii T, Gao C, Ohtsubo K, Yamaguchi Y, Betsuyaku T, Kida K and Taniguchi N: A single dose of lipopolysaccharide into mice with emphysema mimics chronic obstructive pulmonary disease exacerbation as assessed by micro-computed tomography. American Journal of Respiratory Cell and Molecular Biology 2013; 49(6): 971-977. Duvall MG and Levy BD: DHA- and EPA-derived resolvins, protectins, and maresins in airway inflammation. European Journal of Pharmacology 2016; 785: 144-155. Eickmeier O, Seki H, Haworth O, Hilberath JN, Gao F, Uddin M, Croze RH, Carlo T, Pfeffer MA and Levy BD: Aspirin-triggered resolvin D1 reduces mucosal inflammation and promotes resolution in a murine model of acute lung injury. Mucosal Immunology 2013; 6(2): 256-266. Serhan CN, Dalli J, Colas RA, Winkler JW and Chiang N: Protectins and maresins: new pro-resolving families of mediators in acute inflammation and resolution bioactive metabolome. Biochimica et Biophysica Acta 2015; 1851(4): 397-413. Kasuga K, Yang R, Porter TF, Agrawal N, Petasis NA, Irimia D, Toner M and Serhan CN: Rapid appearance of resolvin precursors in inflammatory exudates: novel mechanisms in resolution. Journal of Immunology 2008; 181(12): 8677-8687. Abdulnour RE, Dalli J, Colby JK, Krishnamoorthy N, Timmons JY, Tan SH, Colas RA, Petasis NA, Serhan CN and Levy BD: Maresin 1 biosynthesis during platelet-neutrophil interactions is organ-protective. Proceedings of the National Academy of Sciences of the U.S.A. 2014; 111(46): 16526-31. Walters DM and Kleeberger SR: Mouse models of bleomycin-induced pulmonary fibrosis. Current protocols in pharmacology 2008; Chapter 5, Unit 5: 46. Recommended Methods of Anesthesia, Analgesia, and Euthanasia for Laboratory Animal Species. Albert Einstein College of Medicine. Institute for Animal Studies. https://www.einstein.yu.edu/administration/animal-care-use-committee/default.aspx?id=47696/. Accessed 10th November 2016. Schmitt D, Tran N, Peach J, Bauter M and Marone P: Toxicologic evaluation of DHA-rich algal oil: Genotoxicity, acute and subchronic toxicity in rats. Food and Chemical Toxicology 2012; 50(10): 3567-76. Lamb DJ, Parker N, Ulrich K, Walsh R, Yeadon M and Evans SM: Characterisation of a mouse model of cigarette smoke extract-induced lung inflammation. Journal of Pulmonary and Respiratory Medicine 2012; 2: 125. Torres-Guzman AM, Morado-Urbina CE, Alvarado-Vazquez PA, Acosta-Gonzalez RI, Chávez-Piña AE, Montiel-Ruiz RM and Jimenez-Andrade JM: Chronic oral or intraarticular administration of docosahexaenoic acid reduces nociception and knee edema and improves functional outcomes in a mouse model of Complete Freund's Adjuvant-induced knee arthritis. Arthritis Research and Therapy 2014; 16(2): R64. Fernandes CA and Vanbever R: Preclinical models for pulmonary drug delivery. Expert Opinion on Drug Delivery 2009; 6(11): 1231-1245. Cloonan SM, Glass K, Laucho-Contreras ME, Bhashyam AR, Cervo M, Pabón MA, Konrad C and Polverino F: Mitochondrial iron chelation ameliorates cigarette smoke-induced bronchitis and emphysema in mice. Nature Medicine 2016; 22(2): 163-74. Sallon C, Soulet D, Provost PR and Tremblay Y: Automated High-Performance Analysis of Lung Morphometry. American Journal of Respiratory Cell and Molecular Biology 2015; 53(2): 149-58. Sato A, Hirai T, Imura A, Kita N, Iwano A, Muro S, Nabeshima Y, Suki B and Mishima M: Morphological mechanism of the development of pulmonary emphysema in klotho mice. Proceedings of the National Academy of Sciences of the U. S. A. 2007; 104(7): 2361-2365. Knudsen L, Weibel ER, Gundersen HJ, Weinstein FV and Ochs M: Assessment of air space size characteristics by intercept (chord) measurement: an accurate and efficient stereological approach. J of Ap Phy 2010; 108(2): 412-21. Saetta M, Shiner RJ, Angus GE, Kim WD, Wang NS and King M: Destructive index: a measurement of lung parenchymal destruction in smokers. The American Review of Respiratory Disease 1985; 131(5): 764-769. Scherle W: A simple method for volumetry of organs in quantitative stereology. Mikroskopie 1970; 26(1): 57-60. Kim KH, Park TS, Kim YS, Lee JS, Oh YM and Lee SD: Resolvin D1 prevents smoking-induced emphysema and promotes lung tissue regeneration. International Journal of Chronic Obstructive Pulmonary Dis 2016; 11: 1119-1128. Sun X, Li Q, Gong Y, Ren L, Wan H and Deng W: Low-dose theophylline restores corticosteroid responsiveness in rats with smoke-induced airway inflammation. Canadian Jou of Physiology and Pharmacology 2012; 90(7): 895-02. Koike K, Ishigami A, Sato Y, Hirai T, Yuan Y and Kobayashi E: Vitamin C prevents cigarette smoke-induced pulmonary emphysema in mice and provides pulmonary restoration. American Journal of Respiratory Cell and Molecular Biology 2014; 50(2): 347-357. Podowski M, Calvi C, Metzger S, Misono K, Poonyagariyagorn H and Lopez-Mercado A: Angiotensin receptor blockade attenuates cigarette smoke-induced lung injury and rescues lung architecture in mice. 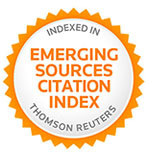 The Journal of Clinical Investigation 2012; 122(1): 229-240. Liu X, Fang Q and Kim H: Preclinical Studies of Mesenchymal Stem Cell (MSC) Administration in Chronic Obstructive Pulmonary Disease (COPD): A Systematic Review and Meta-Analysis. PLoS One 2016; 11(6): e0157099. Lee JH, Lee DS, Kim EK, Choe KH, Oh YM and Shim TS: Simvastatin inhibits cigarette smoking-induced emphysema and pulmonary hypertension in rat lungs. American Journal of Respiratory and Critical Care Medicine 2005; 172(8): 987-993. Criner GJ, Connett JE, Aaron SD, Albert RK, Bailey WC and Casaburi R: Simvastatin for the prevention of exacerbations in moderate-to-severe COPD. The New England Journal of Medicine 2014; 370(23): 2201-2210. Sarkar S: Short-term treatment of elastase-LPS induced exacerbation model of emphysema in mice with docosahexaenoic acid, a precursor of anti-inflammatory autacoids. Int J Pharm Sci & Res 2019; 10(4): 1775-83. doi: 10.13040/IJPSR.0975-8232.10(4).1775-83.